The main topics covered in this paper address the following four issues: (1) Distinction between how adaptation and cognition are viewed with respect to each other, (2) With human cognition viewed as the framework for cognition, the following cognitive processes are identified: the perception-action cycle, memory, attention, intelligence, and language. 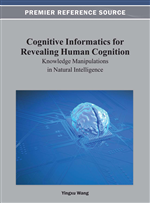 With language being outside the scope of the paper, detailed accounts of the other four cognitive processes are discussed, (3) Cognitive radar is singled out as an example application of cognitive dynamic systems that “mimics” the visual brain; experimental results on tracking are presented using simulations, which clearly demonstrate the information-processing power of cognition, and (4) Two other example applications of cognitive dynamic systems, namely, cognitive radio and cognitive control, are briefly described. Linear Combiner: Equipped with a set of free parameters. Comparator: Measures the difference between an externally supplied desired response and the actual output of the linear combiner produced in response to an input signal. Control Mechanism: Adjusts the parameters of the linear combiner so as to minimize the error signal in some statistical sense. Adaptation is a signal-processing paradigm, with a built-in mechanism, which adjusts the free parameters of a typically linear filter of finite-duration impulse response in accordance with statistical variations of the environment. Cognition is an information-processing paradigm with a built-in mechanism, which enables a dynamic system to learn from the experience gained through continued interactions with its environment. Note that in cognition we speak of information processing rather than signal processing as in the case of adaptation. The fifth principle, language, provides the means for effective and efficient communications between the different parts constituting the cognitive dynamic system. With the language being outside the scope of this paper, the discussion will be focused entirely on principles (1, 2, 3, 4, and 5).